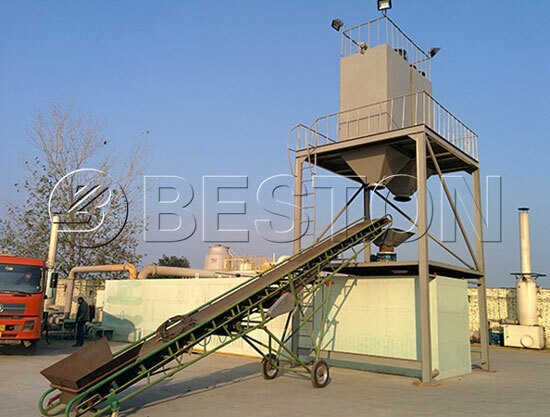 When you want to invest in a plastic recycling plant that can convert waste plastic into fuel oil, the most important thing is that you have to choose a reliable plastic recycling plant manufacturer. 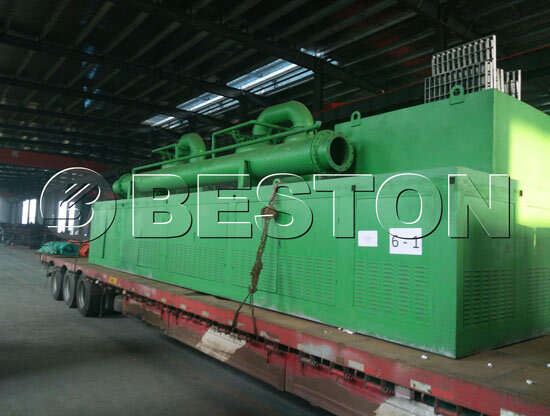 We, Beston Machinery, have more than ten years of experience in the field of plastic recycling & pyrolysis. 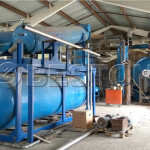 At present, our plastic recycling plants for sale have become more and more popular in the foreign markets. These countries are South Africa, Thailand, Nigeria, Poland, Hungary, Romania, Indonesia, the Philippines, Australia, Jordan, etc. 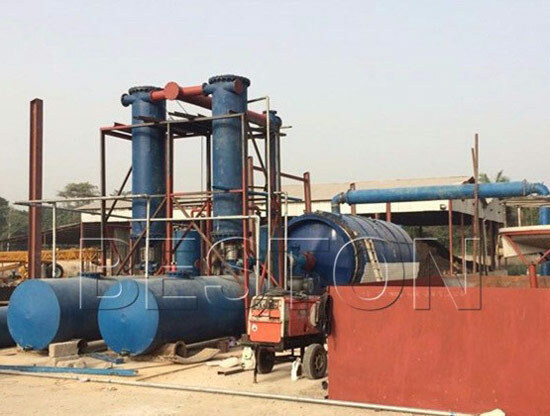 Beston plastic recycling plant adopts the latest pyrolysis technology, the waste plastics can be turned into plastic oil, carbon black and some combustible gas. 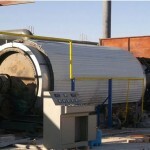 And these pyrolysis products are widely used. 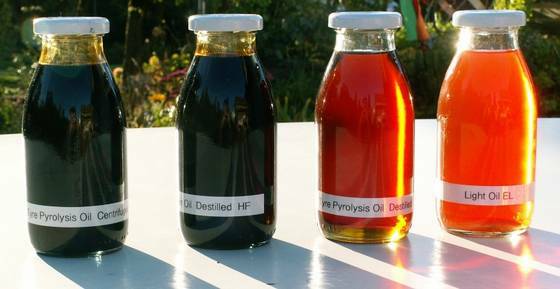 The plastic oil can be widely used as fuel oil in industries such as steel and iron and boiler factories, ceramics, power or chemical industries or hotels, restaurants etc., or used for generators to get electricity. The carbon black can be used for making construction bricks with clay or used as fuel. The combustible gas can be recycled to heat the reactor as fuel, which will save energy for the whole working process. 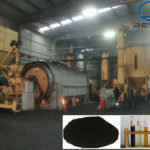 Feeding the waste plastics into the pyrolysis reactor by manual or auto feeder, then fire the fuel to heat the reactor. After the temperature increase to relevant degree, the oil gas will be generated and enter the gas separator. Here, the heavy components will be liquefied and drop into the heavy oil tank. And light oil gas will rise into the oil condenser being liquefied and get into the oil tank. The unliquefied combustible gas enter the hydroseal , in here , after desulfuration and purification , one part of it will be recycled to heat the reactor, another part will be burn out to reduce the pressure while the pressure is too high. 1. Safety. This plant is equipped with advanced safety devices, such as alarm for over temperature and pressure, auto pressure releasing system and fire fighting devices, which can guarantee 100% safety in the pyrolysis process. 2. Energy-saving. By the extra gas recycling system, the gas that can not be condensed to oil can be recycled to heat the reactor, which will save energy for the whole process. 3. Environmental protection. 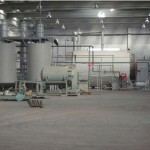 This plant is equipped with latest dedusting system (water spray, ceramic ring filter and washing chamber). 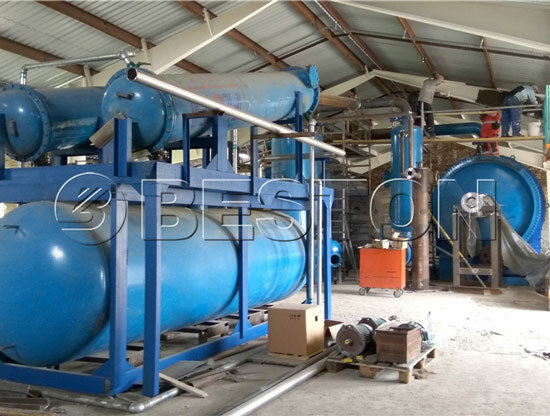 After processed by this system, the hot smoke will be pollution-free and can be discharged into the air directly. 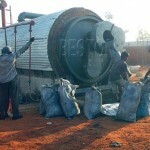 We offer six models of waste plastic recycling plants for sale, BLJ-06, BLJ-10, BLJ-16 and BLL-20. No matter which set of machine you want to buy, we provide the high quality guarantee and perfect after-sale service. For more information about out plants, please feel free to consult us at any time.